Think Universal's Parks Aren't for Young Children? Think Again. It is true that Walt Disney World is loaded with rides and things to do for young children. Universal Orlando, meanwhile, is often seen as the place to go once kids have grown out of the princess and pirates phase. It is also true that Universal's two parks are brimming with wild, in-your-face, thrilling attractions. But, families with children under 10 can find some wonderful rides that the youngsters will adore. A word of caution: Even some of the attractions listed here, while relatively tame, have some gotcha moments. It seems as if the creative team that designs Universal's parks just can't help themselves. I've included a 10-point thrill scale to help you gauge the intensity of the rides. 0 would be suitable for complete wimps, while 10 rates a solid "Yikes!" In general, if your kids meet the height requirements and can handle some minor thrills, they should be fine. Young kids (and adults for that matter) will be thoroughly enchanted as they travel between Diagon Alley and Hogsmeade, the two Wizarding Worlds at Universal Orlando. It's a note-perfect facsimile of the train in the Potter films and includes some nifty special effects to immerse passengers in J.K. Rowling's beloved world. Between The Simpsons, Shrek, and Despicable Me, Universal has a lot of really funny attractions. No matter how many times you've been on the ride, it's likely that you would still laugh out loud at the slapstick antics of the Minions and the supremely silly humor on display—even during the two pre-shows. The motion simulator action could be a bit unnerving for the uninitiated, but passengers can close their eyes to stop the illusion. The charming attraction is based on Steven Spielberg's classic movie. Passengers ride aboard bicycle vehicles with E.T. hidden in the front basket. The beginning of the attraction, with officials in pursuit of the alien, can be a tad frightening for impressionable children. But the finale, which takes place on E.T. 's colorful home planet will delight everyone. It's not really a ride, but more of a 4-D theater presentation (although the tricked-out seats move quite a bit). Like the films on which it is based, the jokes are rapid-fire and generally a riot. Most kids will appreciate the irreverent, often sophomoric humor. The thrill scale corresponds to the many gotchas that are embedded in the attraction. One note of warning: When Donkey sneezes, duck for cover. Kids who have read the classic Dr. Seuss book (and who hasn't?) will love the adorable ride. It retells the story with all of the silliness intact—including Thing One and Thing Two. The thrill scale is slightly elevated to account for the vehicles' (which are made to resemble couches) spinning action. Located at the Wizarding World of Harry Potter - Hogsmeade, passengers board the Flight of the Hippogriff near Hagrid's hut. At 43 feet tall and 28.5 mph, the coaster is a bit more aggressive than Woody Woodpecker's (see below), but it is still relatively tame. It is more charming than the Nuthouse Coaster. Most kids may not know Woody Woodpecker (to which I say, "Ha, ha, ha, ha, ha"), but that shouldn't stop them from enjoying this modest junior coaster. It climbs a mere 28 feet, reaches a top speed of 22 mph, and is over in 45 seconds. Instead of a traditional carousel populated by majestic horses, this ride is filled with silly Seuss creatures. Go round and round and up and down (on crooked poles; there isn't a straight line to be found at Seuss Landing). Among the charming features of the Caro-Seuss-el is that when it starts up and slows down to stop, the band music revs up and slows down to match the speed. It is essentially a Dumbo-style spinning ride, but it features the demented spirit of "The Simpsons." Like nearly everything throughout the Springfield area, Kang & Kodos' Twirl 'n' Hurl is loaded with puns and gags. When passengers pilot their vehicles up to the highest level, they can hear the aliens spout jokes and ridiculous sayings. At Islands of Adventure, One Fish, Two Fish, Red Fish, Blue Fish is a similar spinning ride, but with a Dr. Seuss theme. There are other rides designed for young children at Universal, including The High in the Sky Seuss Trolley Train Ride, which is a somewhat tedious, slow monorail ride above Seuss Landing, and Pteranodon Flyers, which is an enjoyable enough suspended coaster, but has low capacity and almost always has crazy-long lines. The parks have some great play areas as well, such as Camp Jurassic and Curious George Goes to Town. Young kids would also enjoy many of the shows such as A Day in the Park with Barney (if their parents can tolerate the uber-annoying purple dinosaur) and The Eighth Voyage of Sindbad Stunt Show. Of course, if your young kids are daredevils and meet the height requirements, they could also have a ball on the parks' more thrilling attractions. 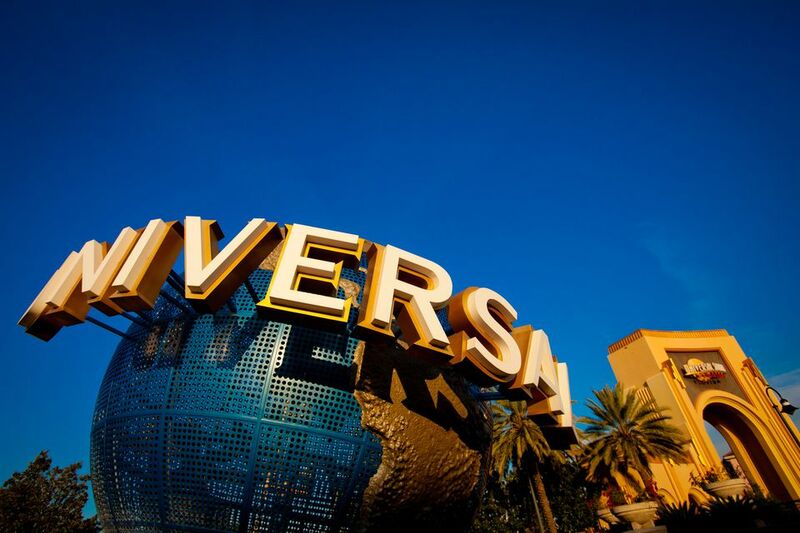 So go ahead, plan a Universal Orlando visit and bring the kiddos.